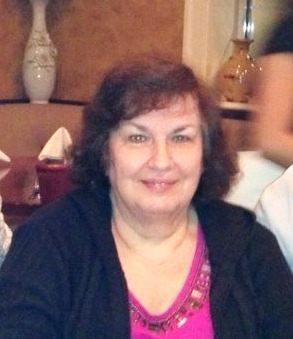 Marini, Antoinette Marini, age 71, of Bridgeport, peacefully passed away on Wednesday, December 5, 2018 at St. Vincent’s Hospital, surrounded by her loving family. Antoinette was a caring mother, devoted grandmother, aunt, sister, and friend. She will be greatly missed by the many lives that she touched. Born in Frosinone, Italy on October 11, 1947, Antoinette was the daughter of the late Sebastiano (Sam) and Cesira Savo Marini. Antoinette was a hard-working woman, who spent over 30 wonderful years at Luigi’s Bakery in Bridgeport, CT. She took pride in her work and was dedicated to providing for her children and most importantly her grandchildren. There was little that she wouldn’t do for them. Her greatest joys came from watching her grandchildren excel at life, from graduating college to piano recitals, from first steps to house buying, from artistic abilities to musical talents. She was there for it all. Antoinette always showered them with unconditional love, support, and encouragement. Antoinette was an active member of St. Margaret’s Shrine most recently attending Sunday masses with her grandson, Michael Rojas. Antoinette truly lived for her grandchildren. When she wasn’t working, she could be found attending one of their events, cooking them a homemade meal, or baking her delicious Italian cookies. With the upcoming holiday, she treasured her Christmas village and decorating her house to be filled with Christmas cheer. She was the pillar and foundation of her family. Her bright smile, warm heart, kindness, and accepting nature made her a joy to be around. She believed in lending a helping hand and being there for others. Her hospitality and thoughtfulness extended far and wide. Antoinette is survived by two children, son, Sam Marini and his wife, Kimberly of Shelton and daughter, Tina Marini-Algarin of New Haven, seven grandchildren, Michael Rojas and his fiance Angela Klonaras, Anthony Rojas, Joseph Marini, Orlando Algarin, Kristina Algarin, Nico Marini, and Alec Marini, one sister, Maria Paniccia and her husband, Domenick and many cousins, nieces, and nephews. Funeral services will take place on Wednesday, December 12, 2018 at 10:00 AM in St. Margaret’s Shrine, 2523 Park Avenue, Bridgeport for a Mass of Christian Burial celebrated by Rev. Giandomenico Flora. Entombment will follow in St. Michael’s Garden Mausoleum. Friends may call on Tuesday, December 11, 2018 from 4:00 to 7:00 PM at the Galello-Luchansky Funeral Home, 2220 Main Street, Stratford.